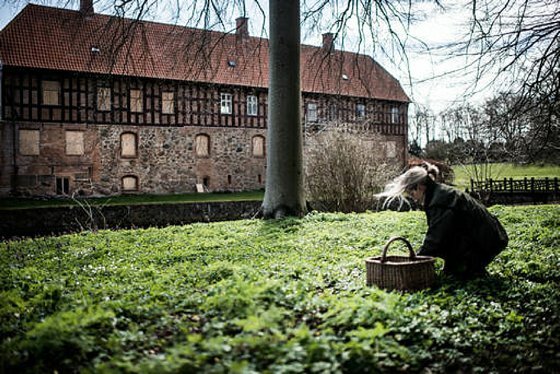 Karen is now in Denmark (think top restaurant Noma, Karen Blixen who wrote Babette’s Feast). She’s at Steensgaard, an organic farm amongst rolling hills in the southern part of Fünen, the 3rd largest island of Denmark. The area is renown for its culinary tradition and natural beauty. At Steensgaard cattle, sheep and pigs are raised. Meat is also processed in the slaughterhouse, matured and dried in the ripening cellar. 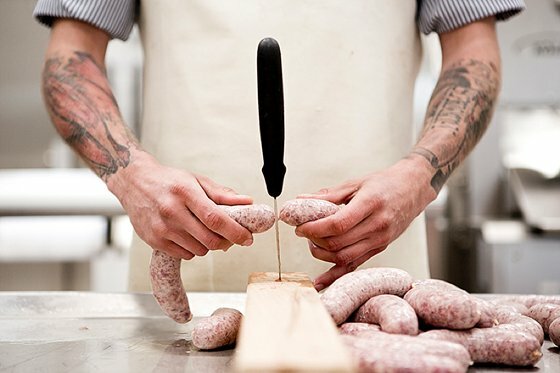 There’s also an eatery and a farm shop offering a variety of raw cuts, charcuterie, fresh veggies, chocolate, honey, wine, craft beers and coffee … all ecologically produced. 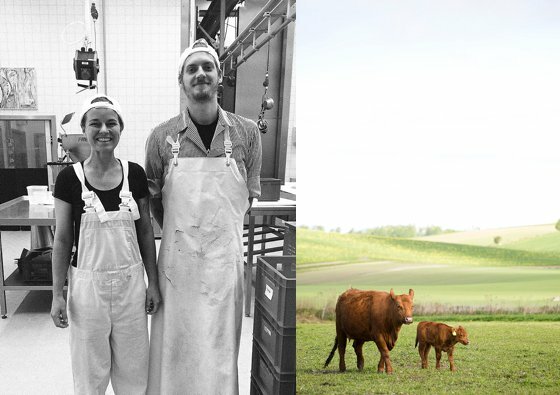 What sets Steensgaard apart, is the journey from field to table: from growing feed to rearing the animal, then slaughtering it and finally offering a quality slice of meat – all taking place in house. They also boast a veggie garden with their very own “Gundula”. Her tomatoes are yummy, sun drenched with summery flavours. The secret, Karen reports, is Baroque music played to the plants, although it seems that the tomatoes can’t abide Vivaldi! 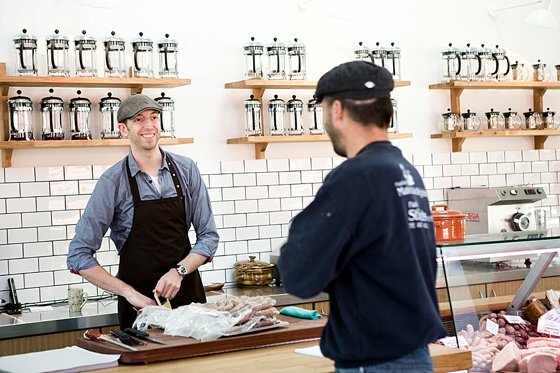 Karen not only baked artisan bread, but worked alongside Steensgaard’s two butchers to fashion a variety of products from the four pigs and one cow they slaughtered while she was there: sausages, pâtés and charcuterie – all made organically without artificial additives or preservatives. Back at Babylonstoren look out for Karen’s delicious plum-wood smoked bacon served at our hotel breakfast, moist beef biltong and some glistening Christmas hams in December. We’re looking forward to the Karen Blixen touches, keep you eyes peeled. 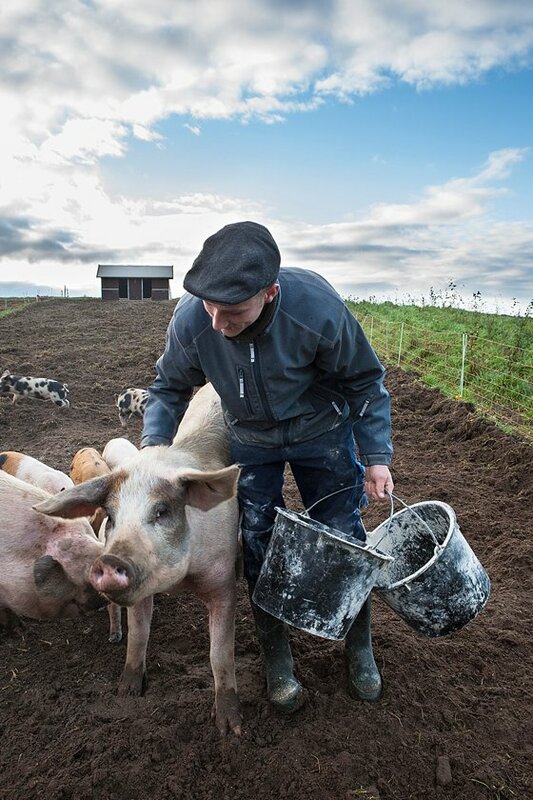 visiting your farm is our bonus and treat. A couple of years ago we visited some wineries in Chile, from typical hacienda style to feng shui designed. They were all at least 300 hectares and producing great wines. It was fascinating and we met several New World winemakers including from Australia and New Zealand. At one of the wineries, all the barrels in the cellar were ranged in an amphitheatre and were attentively listening to some very beautiful music and as the winemaker said, the wine is alive and changing and the music helps it to do its best. The wines were extremely good reds, so I love the whole idea that music can also help along really top quality perky and inspired vegetables as well as wine! I love it!! BAbylonstoren is a wonderful and beautiful concept and a favourite inspiring place of ours. So when does the music start! Admire the way you do things! Value the work & vision that goes on behind the scenes! I’m sure you have inspired countless visitors to your beautiful farm.